Cindy Blake has been busy traveling to schools to present teachers with Back-to-School Grants of up to $100 from The Meemic Foundation. 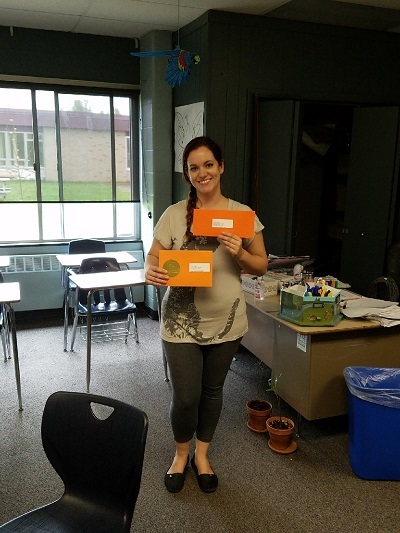 Cindy Blake of the Bob Hager Agency in Chassell, MI recently dropped off checks for Classroom Makeovers with several teachers. Cindy Blake of Bob Hager Agency in Chassell presented teacher Janet Gerzetich of C.J. Sullivan Elementary School in L'Anse with a Meemic Foundation Grant. Janet’s grant will support the recovery intervention program for the school's first graders. Congratulations, Janet! Bob Hager Agency was honored with the President’s Circle of Honor at the Meemic Insurance Company Sales Banquet on Feb. 21, 2014.